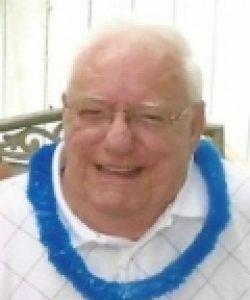 Kenton S. “Ken” Swett, 80, of Auburn died peacefully on Sunday, July 7, 2013 at the UMass Memorial Hospital, Worcester, following an illness. He leaves his wife of 53 years, Victoria M. (Lacoste) Swett; his six children, Chuck Hazzard and his companion Diane Hare of Leicester, Roger Hazzard and his wife Deborah of Southbridge, Kathy Fortier and her husband Michael of Auburn, Diane Gingras and her husband James of Thompson, CT, Kevin J. Swett of Auburn, Jon Swett and his wife Susan of Northbridge, and; his five siblings, William Swett of Florida, Charlotte Kirk of California, Faye Bajumpaa of CT, Holly Carr of Florida and Carol Fitzpatrick of MA; his 9 grandchildren, Jennifer Burke, Lauren Hazzard, Courtney Rice, Derek Gingras, Amanda Gingras, Morgan Rice, Andrew Rice, Tyler Swett and Ashley Swett; his great granddaughter, Emma Cayer; and many nieces and nephews. He was predeceased by his two brothers, Howard Swett, Jr. and David Swett, and his sister Janice Pecoy. He was born in Worcester, son of the late Howard Swett, Sr. and Ida (Fenning) Swett. He graduated from Worcester Schools. Ken was a proud veteran of the Korean War, serving in the US Army. Ken worked as a driver for the former Kesselli & Morse, Scavone Construction and then retired from Emeral Corporation. He was a longtime member of Local 170, Teamsters of Worcester. Ken was a longtime member and past commander of the Chester P. Tuttle Post #279 American Legion in Auburn, and was very active with the Worcester Special Olympics from its inception. He received the key to the City of Worcester for his volunteer service. He enjoyed watching the Boston sports teams. Ken was a devoted husband and family man who took great pride in his children and grandchildren, and will always be lovingly remembered and greatly missed by everyone. Relatives and friends are invited to visit with Ken’s family on Tuesday, July 9th from 4-7 PM in the Britton-Wallace Funeral Home, 91 Central Street, Auburn. His funeral will be held on Wednesday, July 10th with a service at 10 AM in the funeral home, followed by burial with Military Honors in Worcester County Memorial park, Paxton. Memorial contributions in lieu of flowers may be sent to the Mercy Centre, (www.mercycentre.com ) , 25 West Chester Street, Worcester, MA 01605.